Madonna and Bjork were standout acts yesterday when the singers’ performance outfits appeared as part of Kerry Taylor Auctions ‘Passion for Fashion’ sale in London. 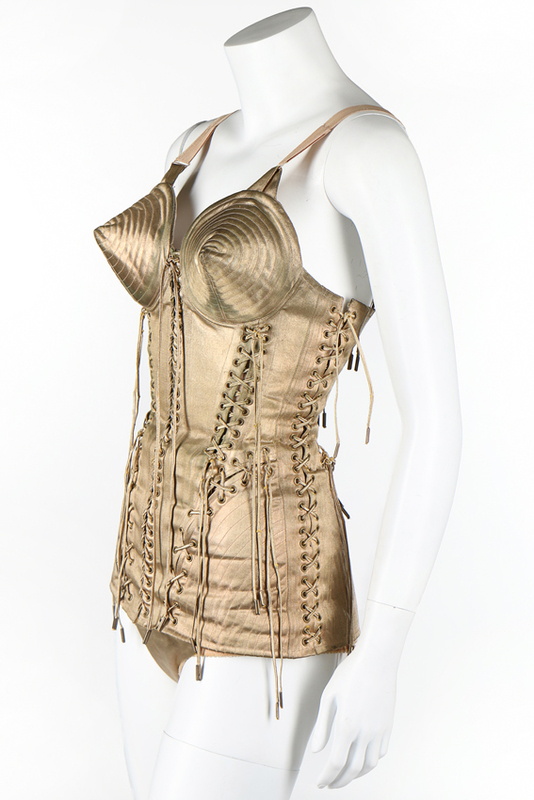 Madonna’s gold lame stage ensemble worn during her ‘Blond Amibition’ tour in 1990 went for the top estimate price of £30,000. It was designed by Jean Paul Gaultier and features the ‘Like a Virgin’ singer’s iconic cone bra. “The total hammer price for the sale was £855,000 – not bad for some old frocks.” said auctioneer Kerry Taylor. 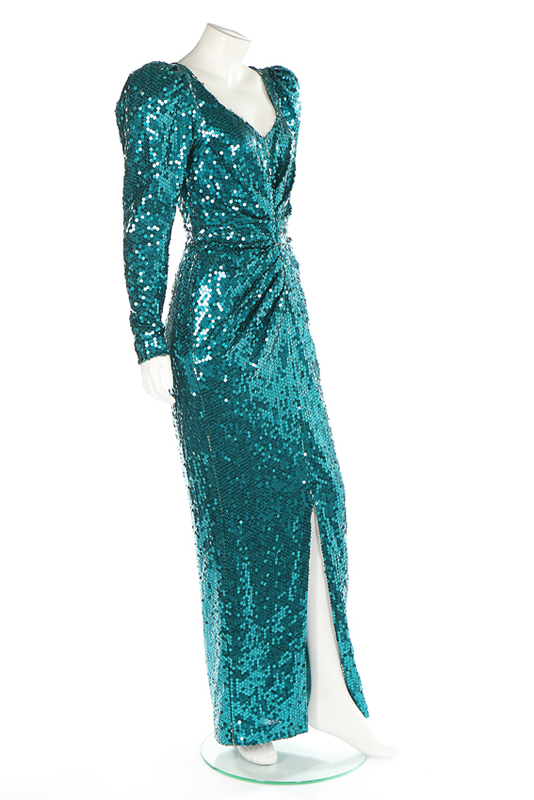 The highest price achieved at the 354 lot sale was Princess Diana’s sea-green sequined evening gown by Catherine Walker, worn during a state visit to Austria in 1986, which took a low estimate £80,000. However, it was Bjork’s costumes that ended up as some of the best-performing lots. Thirteen of the Icelandic singer-songwriter’s costumes came under the hammer with nine beat their higher estimates. Among these the top lot was her Bell dress designed by Alexander McQueen, which took £44,000 over a high estimate of £15,000. 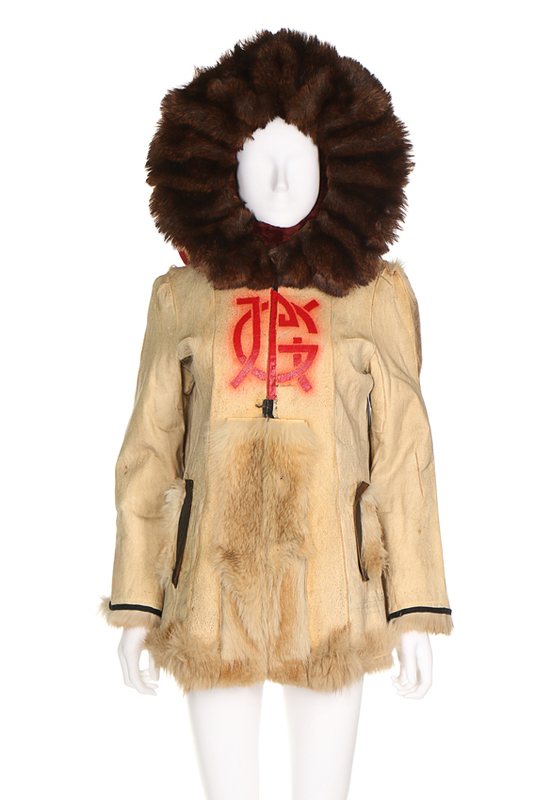 It served as a costume for one of the singer’s 2004 music videos from her ‘Medulla’ album. Another Bjork-related lot that exceeded expectation was the electric blue acrylic dress the singer wore for her 2011 ‘Biophilia’ tour. 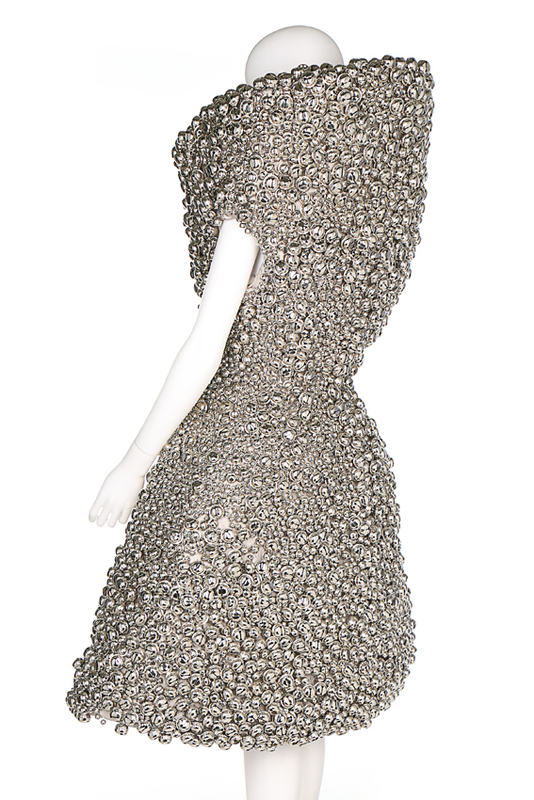 The dress was designed by Iris van Herpen featuring bulging spherical shapes mounted in armour-like layers onto a black tulle ground. 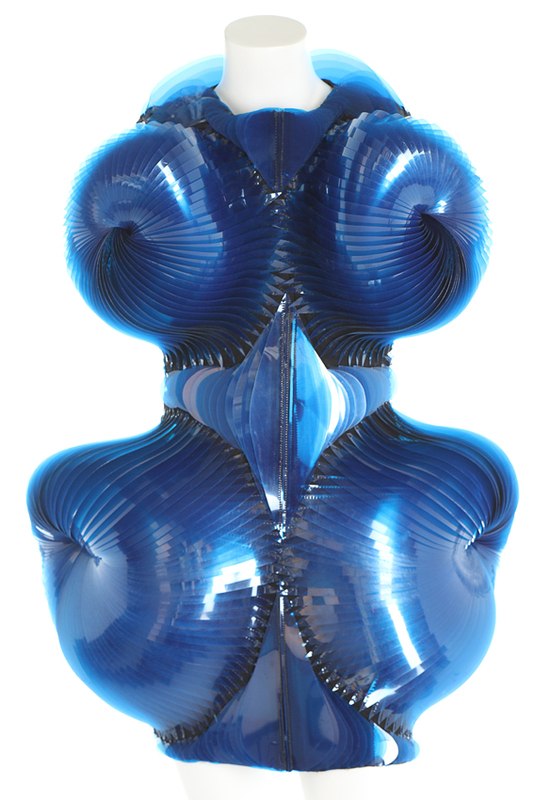 The piece ultimately took £26,000 over a £4000-6000 estimate. 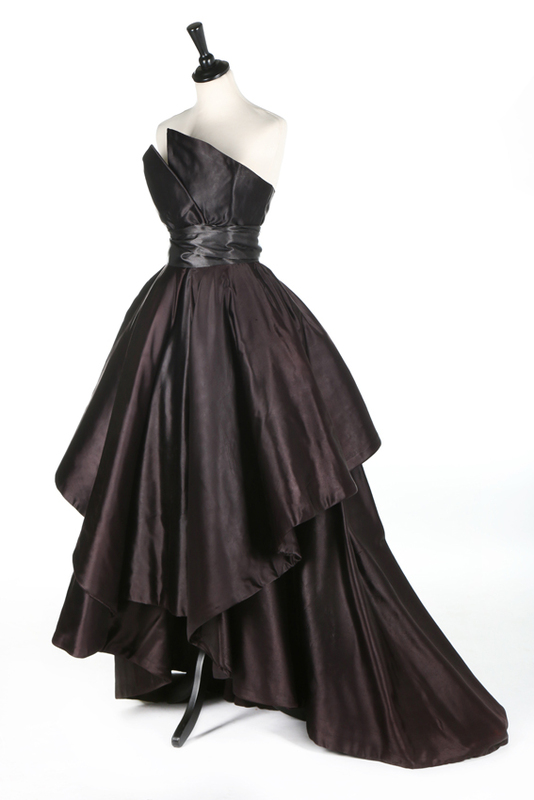 Haute couture by the great designer was consistently strong and included a low estimate result of £15,000 for a 1948 black satin Dior evening gown. Three Dior cocktail dresses went for £11,000 each, all beating their high estimates. The buyer's premium was 25/20%.